Last weekend we went for Impulse conference at IMI Church in Stavanger.There were so many young people there about 3000. It was so nice to be together with william, Robert, Romouldine, Gillian and Miriam. They had great teachings at Impulse. 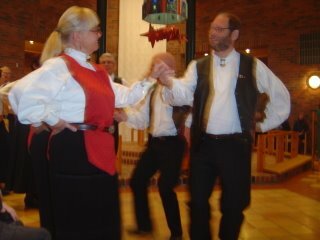 The worship was really awesome and i especially enjoyed the concert we had on Saturday night by Rudi Myntevik. There was also this rapper group P.I.T. and they had great music as well. You can listen to one of their songs at the Impulse website. It was a theme rapp for the entire conference. It was also nice to be at the Hald stand and talk to young people about the experience at Hald. Well most of the time we just gave out bronchures to the youth. I hope some of the people we talked to will consider Hald. Afterwards we spent sometime with William and Robert at their house in Stavanger. It was really great to hang out with the whole group. It took some time before i could get the coursge to do it alone without support. Here is how it went. Tagging on to a friend afraid to let go! Finally! Skating on my own: So Exciting!!! It has been so exciting to be together with all the international student again. So many stories to hear and talk about. To see how some people have changed, so many of the African boys now have longer hair. To watch movies together and do fun things together. It's however not the same without the Norwegian students because we have no people staying in the living room up to so late in the evening. I have to mention the good food here at Hald, its exciting to have that as well. We had this trip on Saturday to Kristiansand. It was secret so we all looked forward to it. We went to Mitt Afrika Zoo. So ironic that me an African would go to a Zoo in Norway to see African Animals. It was really nice to see all the animals and then we had dinner together in a restaurant and an animated movie by the name Happy Feet. We had a wonderful time with Måri's family in the mountains where we had a fire and berbecued sausages. It was so kosly(cozy) and so warm despite the weather. This was so much fun. its interesting that with the much clothes covering every part apart from the face i did not feel cold. Me and Gillian we visited Måri, a friend in Ål who was in Kenya last year through Hald. It was on 29th Dec and we arrived in the evening. It was so special for us to find snow at Mari's place because we had been longing for it since we arrived in Norway more than four months ago. I could hadly wait for the following day inorder to touch the snow and get outside to see clearly. It looked so white and beautiful. Making a beautiful thick cover n the ground and the houses and trees. It was so soft to touch and a bit scary to walk on because their compound is hilly and rocky and so slippery because of the snow that has melted and solidified to form a rock beneath the soft cover. It was breathtaking just to be out on Ski's and trying it out in the mountains. They were kind of heavy at first and it was so hard to balance and relax. So i fell numerous times on that first day. Somehow it was not painful because the snow is so soft and it was a lot of it so its was a soft landing. Måri was offering the lessons and she was so patient. It took a while to learn how to go uphill. We had to make a Vshape with the Ski's to ensure we don't slide down slope. However the hardest part was going downslope. Its because balancing my weight on the ski without using the sticks is so hard. It was interesting to slide and fall many times and get back up again. This is a very exciting time in Norway with so many traditions of what to eat, drink and to do. It all begins with ad vent which is celebrated four sundays before Christmas. The christians celebrate advent by lighting a candle(adventsstaken) for every sunday which is a symbolic action signifying joy, hope, longing and peace respectively. Decorations of shops and public places begin around this time. Its amazing to see how Norwegians are crazy about candles which goes beyond the christmas season. I hear that before Norway became a christian country the people celebrated light at midwinters. 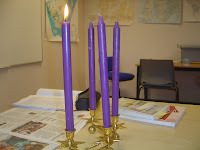 Therefore use of candles at Christmas is a blending of traditional and christian culture. I have to mention the ric e porridge which is so popular at the advent period. Then there is this tradition where a nut is put in the rice porridge and the person who finds the nut in his or her plate gets a gift. 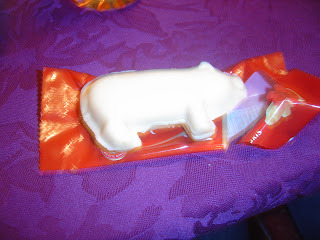 The gift is always masipan and in the area i live its always a pig as shown in the picture below. The rice porridge is not so bad, i did not like it the first time but with several attempts i did not mind it so much. There is a drink as well called glog and its spicy and drank when hot. This normally accompanies the rice porridge as well as jul brus. There are numerous products with jul infront of them. Meaning that are specially ment for the Christmas season only. This includes jule brus, jule tea, jule cake, etc. Types of dishes ment for this period in Norway include Lamb, pork and fish. They have local names and the culture is quite strict on what an individual should eat depending on the part of the country they live or come from. In the west coast where i live we eat lamb(pinekjøtt). Unfortunately i did not have the pleasure of eating this because i spent my Christmas with a family that is half Kenyan and half Norwegian so we had a cultural mix. 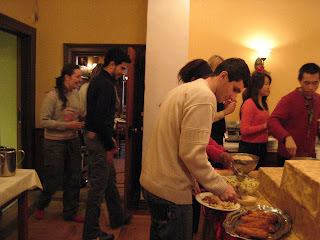 I have to mention the exchange of gifts in Christmas which is a must in eveery home. Norwegians spend millions of kroners on gifts. I had the pleasure of making paper cake hus(house made from paper cake paper). They are coated with numerous candy and the children are ment to bring the house down after Christmas by eating the house and candy away. 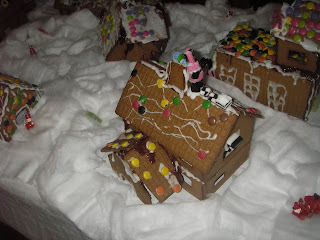 It was a great experience getting in touch with the kid within as we made the house and later ate away the candy. Then there is the cookies, ginger bread men that are baked and eaten at this time. Its so many things to eat at this season. The cakes are of so many types that i cannot tell about all of them. Some are with fruits and others with spices. Its amazing to know you can only eat this at Christmas. I Love bashes especially my bash. It was a joint bash with Justine, Ugandan lady who shares a birthday with me. I was looking forward to this. The day began on a wrong foot: too much rain and difficulties at the Lutheran Church because i can't understand much of the language yet. 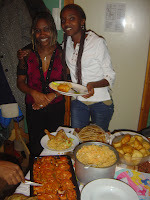 Nway that aside we held the bash at Esperanza's place(An African from Burundi). Such a lovely person, she hel ped with the cooking and the music. The venue was perfect. We met with these African people mostly from Burundi: Shaban, Maccas, Omari, Justus, Esperansa, Sheila(Espes kid), Carlos(Angola), Justine(Uganda) and offcourse my team mate Gillian. There was dancing to African music, it reminded me of Africa, i had to dance because it was my bash. Embarrassing moments: choosing a guy from the crowd that i like. This was hard because i did not know the peopl e so well. Exciting. Dancing with Maccas to some slow music: i was shy about it but it went okey. Dislike: Some people took alcohol and that was uncomfortable. Generally it was lovely to celebrate together with great people and make new friends. The best weekend in norway so far. It turned to be such a great experience, one that i will live to remember. I had less expectations being in a small and new place:Stord. Many of my friends remembered and i was so excited. A few people from hald surprised me by calling and texting. They made my day and offcourse my family. Its now i realise how important family is. They always have my back no matter how far iam. Kjell, my pals brother invited Gillian and i to go bowling with him and two other friends. We opted to miss the normal Bedehus meeting and have fun, after all it was my day. 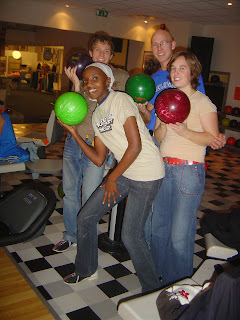 Kjell drove us to the venue and we had to get into sporty shoes and for the first time in my life give bowling a shot. Me and Gillian were terrible at it. We tailed but it was fun trying and just being out with youth. I thought of Flintstones(cartoon) where Fred and bunny are usually bowling. Later on we visited one of the guys at home, had some snaks and returned to our cozy homes. The weather here is dårlig(terrible) so much rain, it's tempting not to go out at all. What was on my mind at the end of the day, gratitude and anticipation for the sunday Bash with friends. Twas a great day. Locals here at Stord are very proud of their culture. This refers only to the older generation because the youth have a modern culture. Last sunday i had the priviledge of attending a cultural mass in a nearby Lutheran church. It was nice to see culture blend so well with Christian music. The songs were sang by the regular church choir and a visiting group accompanied the songs with folk dance. It was so beautiful to see. I din't understand the message of the songs but i really loved the rythm and dances. That marked the beginning of a cultural week here at Stord. It was a special event which is not common in the lutheran(state) churches which are very formal. Norway has this advanced information system. This is evident by the number of cards an individual has. 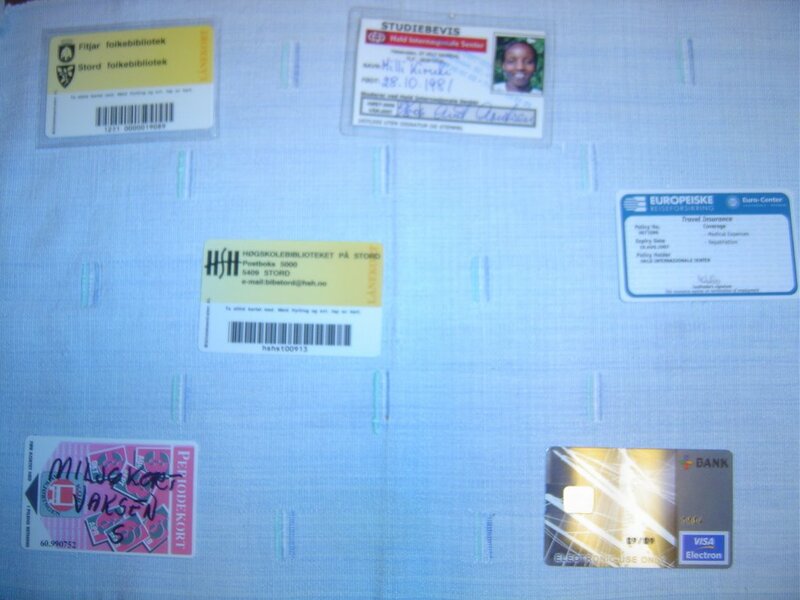 I have 6 cards: visa, insurance, bus card, student Id, library cards. This is basic for a student so its possible to have more. This makes service provision very effective and effecient(quick). The bus has this prepaid system which is on a monthly basis. They issue cards which must be inserted a provided slot every time one uses the bus. This makes it possible for an individual to make as many trips as one wishes within the prepaid period in the designated area. The visa card can be used in the stores and offcourse the bank to withdraw cash. Its really special because you can utilise Atms belonging to other banks other than own at a small fee. The stores act as banks too because one can withdraw cash as you purchase items. This is a free service if the purchase and requested withdrawal exceed the sum of 300 kr. I have taken some timeto get used to this because its self service and the instructions at the ATM are in Norshk but am improoving. Its been 12days now since i arrived here at Stord. Stord is a small town to the west coast of Norway. One of the most interesting things is the weather. The locals are crazy about the weather and have so many words to describe it. I find myself freezing most of the time and they remind me that there is NO BAD WEATHER ONLY BAD CLOTHES! Its kind of scary because its now between 12 and 9 degrees centigrades and soon it will be below zero. I try to dress warm and that makes me overdressed most of the time. It also rains a lot here and the locals are used to it, life goes on. This is unlike Kenya where rain disrupts peoples programs. It’s now autumn and the trees are beautiful. So many colors on the trees, yellow, red, purple, green, brown, etc. 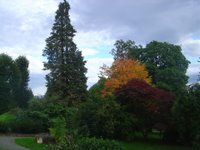 The leaves have begun to fall off in preparation for winter.I have never seen so many colours on the trees before. Its really great to take walks and admire nature.